Andrea Phillips is a Consultant Radiologist with subspecialty interests in Abdominal Imaging and Interventional Radiology. Andrea qualified from the University of London and obtained Membership of the Royal College of Physicians prior to undertaking Radiology training in Oxford, with a final year of subspecialty training as a Fellow in Abdominal Imaging and Intervention in Vancouver, Canada. 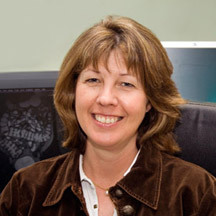 Andrea has been a Consultant Radiologist at the Royal United Hospital Bath since 1999. Specialist interests include the imaging of the small bowel with CT and MRI, CT Colonography, Abdominal MRI, Gynaecological Imaging and Abdominal Intervention. Andrea also has a keen interest in Education, having been Radiology Lead for the University of Bristol Medical School and Education Secretary for the British Society of Gastrointestinal and Abdominal Radiologists (BSGAR). She teaches and lectures nationally and internationally, is a reviewer for Clinical Radiology and the British Journal of Radiology, and participates in National Trials in Abdominal imaging and Intervention. Andrea was the Gastrointestinal Expert Lead for the last two reviews of the Royal College of Radiologists Referral Guidelines and was President of BSGAR from 2012-2014. Radiology Clinical Lead at the Royal United Hospital, Bath.